Awesome, dude! Funko Pop Regular Show brings vinyl fans the crew from the Cartoon Network series. Offering a handful of figures, the set contains most of the main characters, including Rigby and Mordecai. In 2010, Rigby (raccoon) and his best friend, Mordecai (blue jay), burst onto the small screen captivating pre-teens and adults alike. As the saying goes, opposites attract, and their differences are even clear with the Pop! figures. Rigby is standing up straight, his tail above his tensed shoulders, while the laid-back blue-and-white Mordecai waves hello. Shop for Funko Regular Show Figures on Amazon. Over the course of eight seasons, ending in 2017, fans watched the "regular" guys neglect their duties at The Park as they opted for adventures with co-workers, disappointing their boss, Benson. 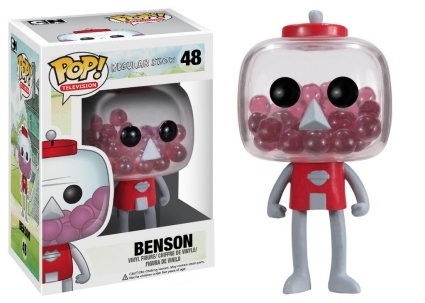 In particular, the Benson figure is exceptionally unique, as the gray gumball machine's head is clear and filled with individual pink candy. 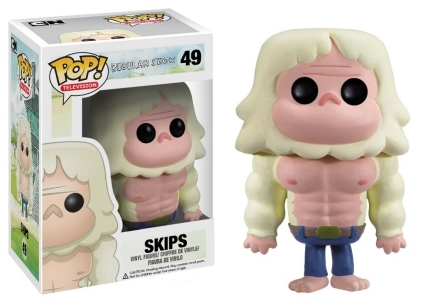 Skips, an immortal yeti, is covered in blonde fur/hair with the exception of his chest. 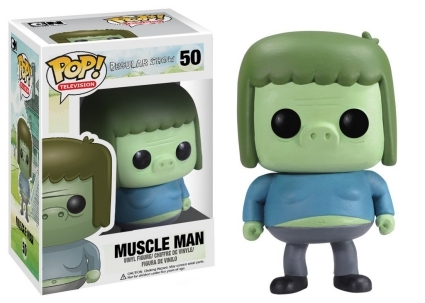 Additionally, the deceivingly strong Muscle Man rocks gray pants and a blue shirt so tightly stretched that his green stomach is visible. 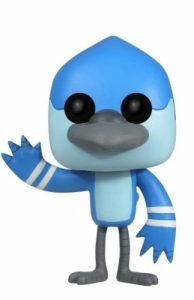 The Funko Pop Regular Show figures are included in the main Pop! Television line. Since they have been "vaulted," which means new production has stopped, supply is more limited and values are higher. 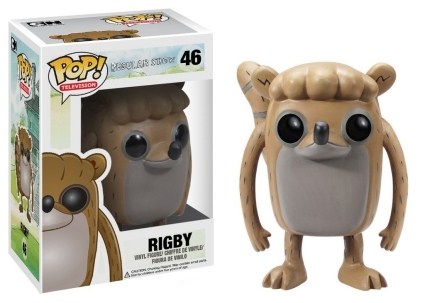 Rigby (Regular Show)- Funko Pop! 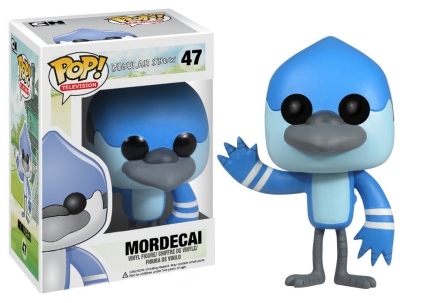 Mordecai (Regular Show)- Funko Pop! 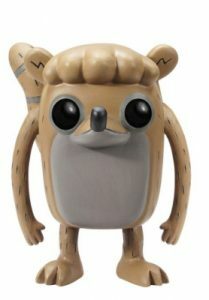 RIGBY REGULAR SHOW FUNKO POP LOOSE FIGURE VAULTED RARE!